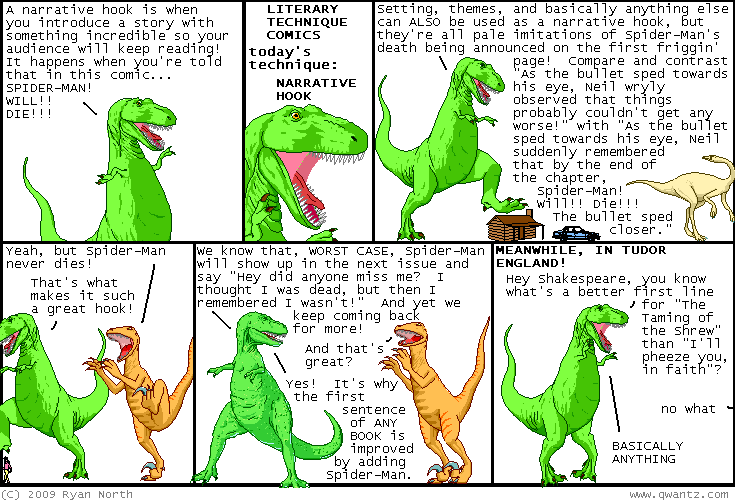 Dinosaur Comics - May 13th, 2009 - awesome fun times! –Today I have fully documented ONE WEEK of my life! May 13th, 2009: The Toronto Comic Art Festival was amazing and I wish it was every year. Thank you everyone for coming out and for the great conversations! I am really tired right now, but it is the best sort of tired ever. One year ago today: apparently there's a movie about hamlet ii coming out! people emailing me said it didn't look that good, but i dunno. hamlet ii!